A deck or patio is what makes a house a home. It frees up inside space that may be cramped with the addition of children or that home office and gives a delightful place to play, socialize, relax, throw parties and generally have great fun. In years gone by, decks were just a basic small rectangle with a chair or two and a pot plant. These days they have been upgraded from Cinderella to the beautiful princess. 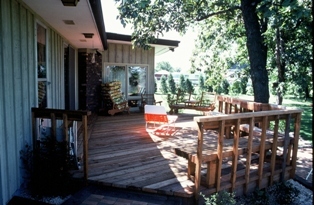 Decks these days provide an extra room to the home where any number of activities can take place. 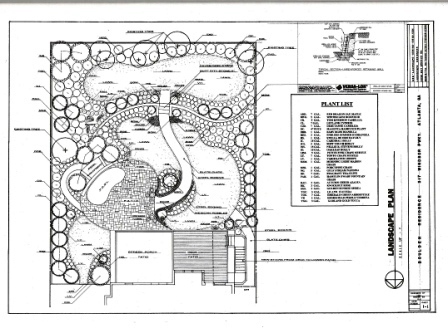 They are rainproof and may contain cooking facilities, a water feature, outdoor heating, lighting along with comfortable seating and dining facilities. When you design your deck or patio, do so with your lifestyle in mind. A patio or deck addition will increase the value of your home to a greater extent than nearly any other improvement. The return on your investment can be up to 90%, even if your deck is only mid-sized. The trend in decks these days is to make the floor size almost as large as the home itself. They can have multi levels, walls and pergolas that offer a modicum of privacy and built-ins that offer extra storage and seating combined. Building a deck is certainly a great way to cut out on that mowing chore, too. The more space you use up in a deck or patio the less you have for growing a lawn. With the addition of an outdoor fireplace, the deck in a cold climate will get even more use. Add some decent lighting and you’ll find that time spent on the deck outdoors is even longer. The deck is an ideal place for the children to play and let off steam. Make sure there are safety walls to stop them riding those trikes over the edges, or falling over themselves if they are toddlers. You’ll need to get council permission for any additions that have foundations, and there will be safety specifications to adhere to. It’s worth it for the benefit you’ll get in that extra space, value for your home and sheer pleasure of use. Before you design your patio or deck, decide just where it will go. It can be an addition to the house or a freestanding structure. 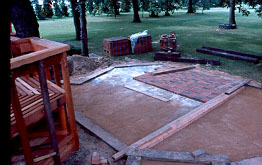 It may have foundations and a timber floor or the flooring can be pavers and sand. Can it be on the south side, where it will be warmer? You may decide on solid walls, or clear, roll-down blinds that let in the view. Let your imagination soar to create a stunning masterpiece - or stick to the predictable and useful rectangle. Ultimately the decision of shape may depend on your home and situation. Plant Only Disease Resistant Crabapple Trees. Make your selection from this book! !